Summary: Lucia loves to pretend she’s a superhero, running and jumping all over the playground. But she’s sad when some of the boys say that girls can’t be superheroes. 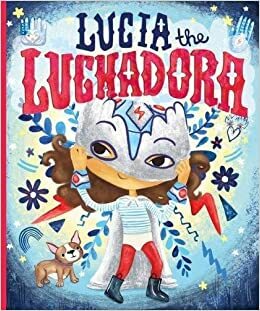 Her abuela comforts her with the gift of a cape and shiny silver mask, and a story of how she used to dress up as a luchadora, a masked wrestler with swift moves. Lucia tries it the next day, and loves the anonymity the mask gives her. Pretty soon, other luchadores appear on the playground. The rescue of a dog encourages Lucia to unmask; when others follow her example, she is surprised to see many of them are girls, too! 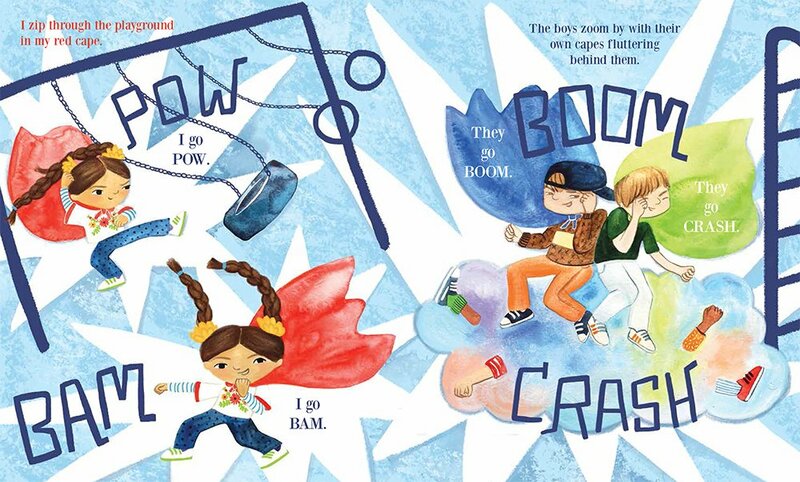 The boys see that girls can be superheroes or luchadoras, and everyone plays together. An author’s note gives more information about luchadores and the world of lucha libre, popular in Mexico. 32 pages; ages 4-8. Pros: Girl power with a Mexican twist, and a happy ending that includes everyone. The colorful illustrations include some spectacular masks. Cons: As a former first grade recess monitor, I can’t condone jumping from the top of the monkey bars.